I might be the only one ever but I didn't love, love Me Before You. Don't get me wrong, it was very good but I just couldn't get through the idea of physician assisted suicide which I don't believe in. It was a beautiful love story though and I did enjoy seeing the movie. I know not everyone liked this one but I loved how it all tied in together and I found my curiosity so peaked at what happened that was making everyone act like that. I enjoyed the story and the complexities in each character and I found myself rooting for different people at different times. Another popular book that was just meh for me. It was fine. Lots of characters but once again, I battled with the decision Leo made towards the end of the book and what it cost him. I might have abandonment issues or something, but I dunno… it was just okay. This was quite a good book from one of my favourites where we see how two sisters dealt with the death of their brother for the years after. Though I didn't totally enjoy the two characters' flaws, I understood them. I also like how Emily brings in characters from older novels and tells you what's going on with them. I was pleased to get updated on my favourite (fictitious) couple Andy and Ellen. I was excited to read this one as I'm a huge bachelorette fan but I did not enjoy it. 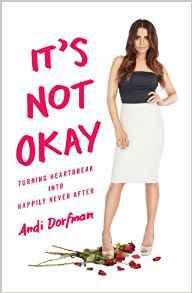 It was disjointed and I couldn't handle her style of writing though it certainly did provide a little inside scoop on Andy's break up after The Bachelorette. My favourite author scores again! Another good Elin read, this one about three ex wives and families of an NYC chef and how they deal with his death. 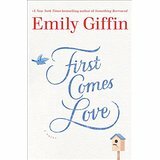 A great captivating read with lots of little twists and turns. This was my favourite book so far this summer. 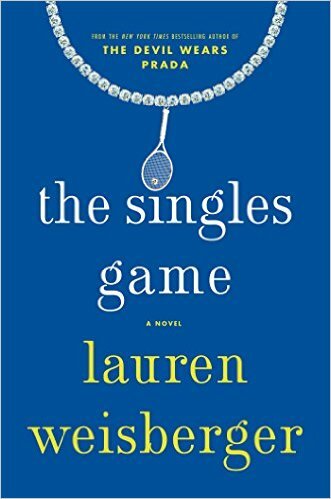 It's about a tennis player who wants to get to the top of her game so she makes some hard, often morally questionable choices. It also offers an insider's look into the competitive tennis world which I loved! Any other recos for light reads? We're also starting a book club in our neighbourhood this month so suggestions for selections are also welcome. Happy Thursday folks! Day 4 of my 21 day fix and I'm still standing. Oh to be able tor read again! I actually did get to read a bit on vacation over the summer since we were with my in laws and they entertained the girls. I devoured two books (well one was Harry Potter and the Cursed Child, so not **technically** a book, but still good). Ahhh, thanks so much for these recs! Thinking about starting off with The Nest soon! 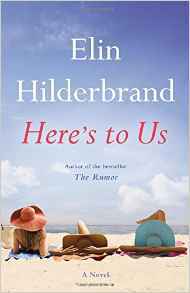 I've never read a book by Elin Hilderbrand. I bought one of her books on CD for in my car, but haven't even gotten to it yet. I'm currently reading A Heart Most Certain, by Melissa Jagears. I'm really liking it so far. 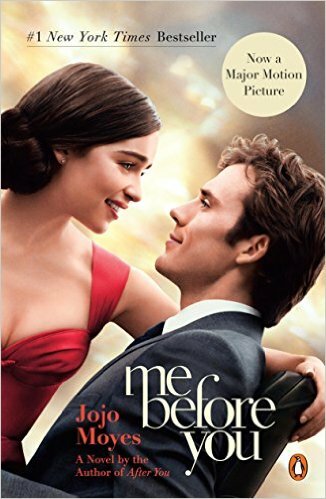 Spoiler alert for the Me Before You. I didn't agree with the suicide either but I enjoyed the rest of the book. The movie didn't show all the details of his condition so it might have seemed sudden but the book went a lot further into it. 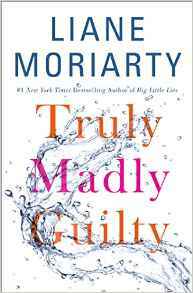 I also read Truly Madly Guilty and you can see my review here https://youtu.be/U7ofj21IfIA It wasn't my favorite Moriarty book but I'm a big fan. And I have the Bachelorette book on reserve at the library. Now that Nick is about to be the Bachelor, I think the franchise just got a little more interesting. Haha. 4th time is a charm. Some interesting books, I'll have to check out and add to my ever growing to-read list. 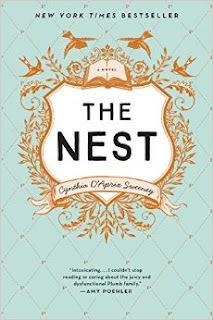 I felt the same about the Nest...we read all the same books except for the last two! Interesting book list. I read Me Before You back in the late spring. 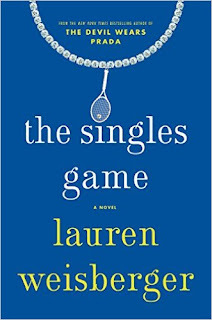 I gave it 5/5 on Goodreads, but I wasn't all goo-goo crazy about it like so many of my reader friends were. I have that Moriarty book on my TBR. Have a great weekend! I don't like the idea of assisted suicide either. It just makes me sad. I think I'd like to watch the movie though. I'll have to save it for a night that Russ is gone.